Gov. Jerry Brown vetoed a bill Tuesday that would have required six counties in California to change how they investigate sudden, suspicious or violent deaths, including deaths that happen during arrest or in jail or prison. State Senate Bill 1303 would have forced non-charter counties with more than 500,000 residents to establish a medical examiner’s office to investigate deaths. In seven of California's largest counties — including San Francisco, Santa Clara and San Diego — a medical examiner, who is also a physician, investigates deaths. In the majority of other counties, that job falls to a coroner, who is also the elected sheriff. Dr. Pan, a pediatrician, believes that having the sheriff-coroner investigate deaths involving officers is a conflict of interest. Pan introduced SB 1303 in response to accusations late last year that a county sheriff had in fact meddled in death investigations and altered findings. The chief forensic pathologist for San Joaquin County, Dr. Bennet Omalu, accused Sheriff Steve Moore of overriding autopsy findings in cases where an officer of the law appeared to have killed someone. Omalu, known for his discovery of the debilitating brain disease CTE in professional football players, resigned from his position as chief forensic pathologist Dec. 4, after a decade holding the position. Among the reasons he said he could no longer work for Moore were several instances where he had determined a person’s death was a homicide, only to watch Moore override his findings and label the death an accident. Omalu testified in support of Pan's bill, which was sponsored by the California Medical Association. The California State Sheriffs' Association, currently led by Moore, opposed the measure as costly and unnecessary, and the California State Association of Counties objected to the measure's interference with local autonomy. 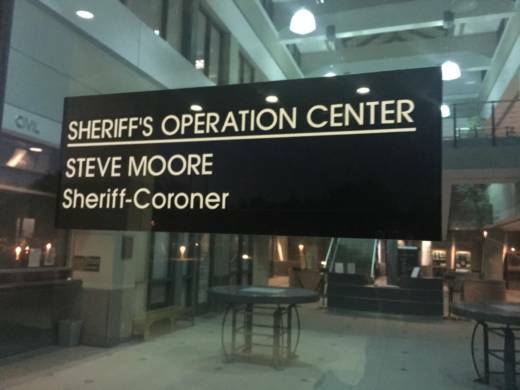 While the legislation ultimately failed, San Joaquin County supervisors moved to strip the sheriff of his coroner duties and establish an independent medical examiner’s office. That effort is ongoing. Moore lost his re-election in June. Omalu recently opened new offices and is providing autopsies for several local entities and expert witness testimony in cases throughout the U.S.
Pan plans to keep trying to improve death investigations in California. Contrary to the governor’s veto message, the senator thinks that local officials are unlikely to challenge the sheriff-coroner system.